Billy Edd Wheeler first introduced me to Chet. It was always fun to hear these two tell stories about Nashville. 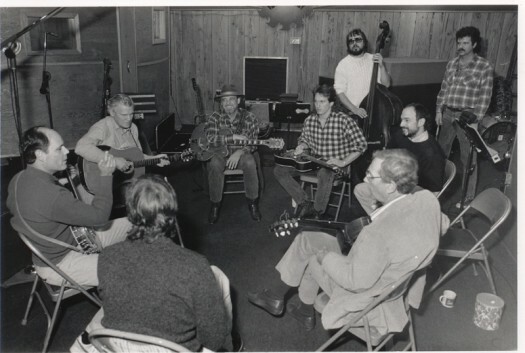 When I started hosting Fire On the Mountain for TNN I was making frequent trips to Nashville and started visiting with Chet. 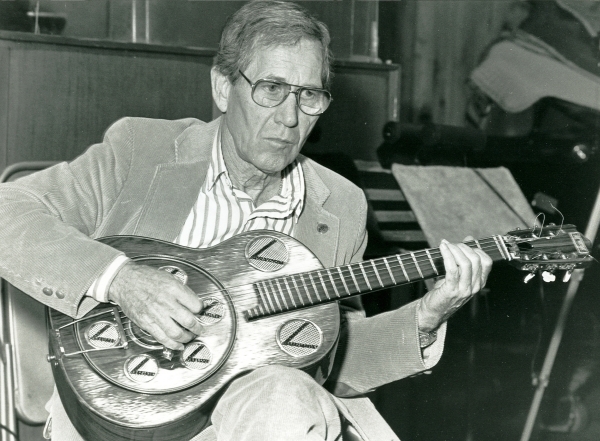 He’d say, “Drop by the office I’ve got something I want to play for you.” He usually had the tune and words written down to some folk song he remembered from his Tennessee boyhood, songs like Kemo Kimo or Liza Jane. The versions were almost always a little different from the standard folk renditions. 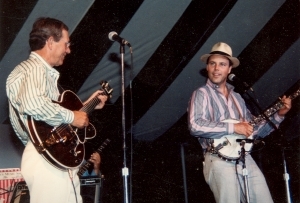 He loved the old songs and interestingly he really enjoyed playing along with clawhammer banjo and invited me on stage to play with him a couple of times. encouraging to me. He loved old-time music. He also loved jokes and stories. So when we’d meet there would always be a new tale or two to share. Chet had married Leona and Jethro Burns (of Homer and Jethro) married Leona’s sister Laverne. So, Chet took his brother-in- law Jethro to a ballet, while they had some time to kill in Atlanta. Jethro had never been to a ballet and was pretty impressed. 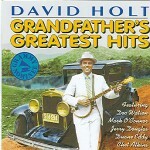 When I asked Chet to play on Grandfather’s Greatest Hits he said he’d be happy to join in. I know he really enjoyed working with Doc, Duane Eddy and the other great musicians on the session. Of course, everyone in the room loved having Chet there. He was one fine man.